Peel, wash, dry and cut the sponge-gourd into round slices. Keep aside. Add all the other above dry ingredients and mix. Add a tsp of oil to the mixture. Now gradually add water to the mixture to prepare the batter. Caution: Do not make the batter thin. Since sponge-gourd is high in water content if not coated properly oil splutters. Eat it with any chutney/sauce you like. I’ll tell you what, it tastes better than it looks. 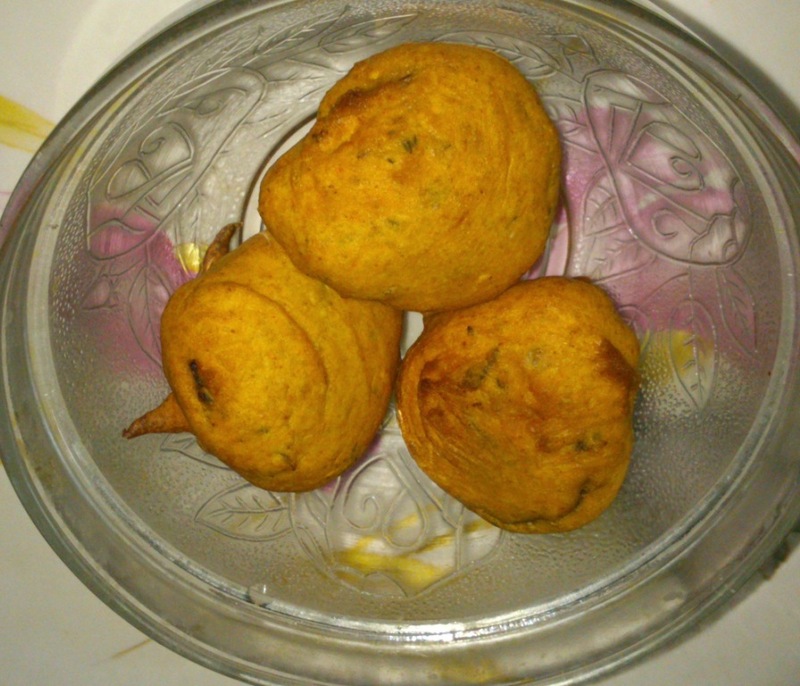 Crunchy chickpea coating over soft, juicy sponge-gourd. I was very tired yesterday when I went back from work so didn’t bother to take more pictures or do any garnishing. Plus I clicked them with my mobile camera. So my pics may not be doing justice to the dish! How are you doing Sapna.